Irish cream until they chuck it all up. 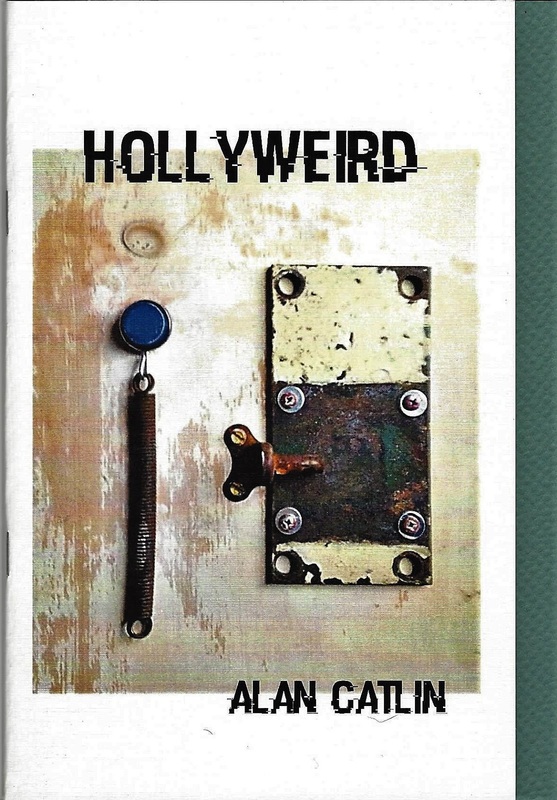 Hollyweird boasts stunning cover art, "Blue Plate Special," by Ohioan Kevin Eberhardt. The cover is white linen cardstock, with a textured cool-green cardstock insert. The text is printed on bright white paper. Hollyweird, forty pages long, contains thirty-one poems printed on bright white paper. Alan Catlin has had over sixty chapbooks and full length collections published over five decades, among them, Beautiful Mutants (NBP, 2015), Blue Velvet, the 2017 Slipstream chapbook contest winner, and Walking Among Tombstones in the Fog (Presa Press, 2017). 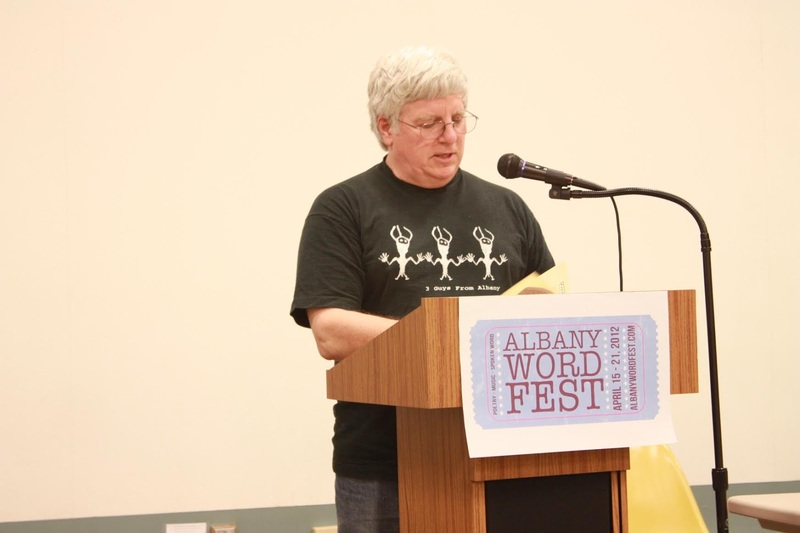 Hollyweird was scheduled to appear in October to accompany the publication of Kevin Eberhardt's book Before the Puppets Could Sing, but unavoidable personal issues delayed its printing. NBP warmly thanks Alan Catlin for his kind patience and understanding. Hollyweird is available right here, right now, through PayPal, for only $8.00. You don't have to be a member of PayPal to order; all you need is your debit or credit card number. Shipping is only $3.00. BONUS OFFER! Order before midnight on December 31, 2017, and NBP will include a copy of Kevin Eberhardt's new book, Before the Puppets Could Sing, for free! 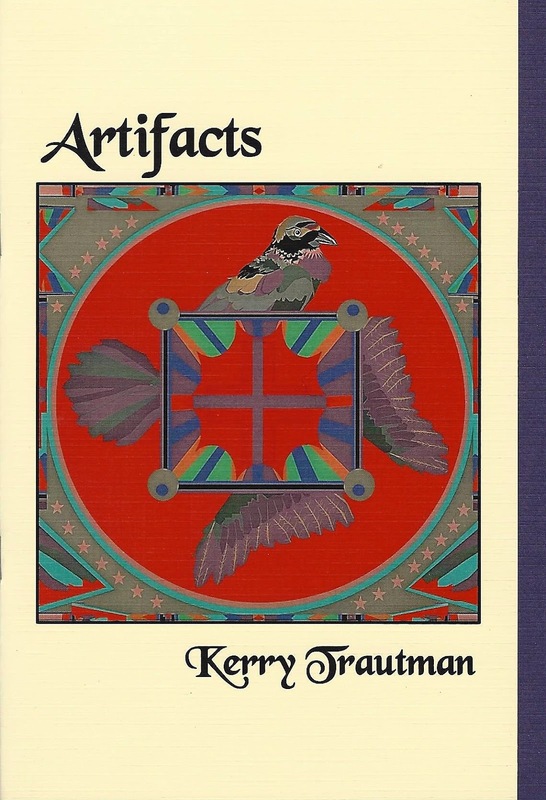 Artifacts by Kerry Trautman and Beyond the Sidewalk by Jonie McIntire! The actual print date was November, but due to some unforeseen and unavoidable delays, NightBallet was unable to announce publication until today. These two books are incontrovertible proof that some things are well worth waiting for! Artifacts is a stunning journey of discovery. Its thirty-two pages contain twenty-two poems, all rich in language and masterfully written. Among Trautman's "Archeological Surveys" are those of "the CD Collection of a Somewhat-Poor Girl," "a Curated Native American Clothing Exhibit," and "Drummers and Poets." Trautman does not hold back, does not flinch, as she explores themes of both darkness and light. someone she doesn't know well but really likes. Notice how her fingertips are clenched into her palms. could not stop pretending she was true. 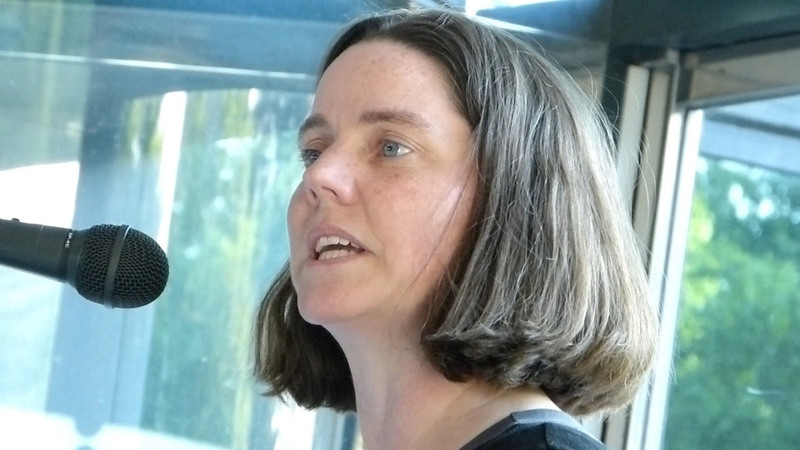 Kerry Trautman is a founding member of Toledo's Almeda Street Poetry Co-op, the Toledo Poetry Museum, and ToledoPoet.com. She is often seen at local poetry readings and events, such as Artomatic 419, Back to Jack (Toledo's annual Jack Kerouac tribute), 100 Thousand Poets for Change, and the Columbus Arts Festival. Her poetry and short fiction have appeared in various journals and anthologies, including Midwestern Gothic, The Fourth River, Hawaii Pacific Review, and Journey to Crone (Chuffed Books Press, 2013). Previous books include Things That Come in Boxes (King Craft Press, 2012), and To Have Hoped (Finishing Line Press, 2015). Artifacts is printed on creamy ivory paper. The ivory, linen-textured cover features a magnificent art piece by Bree, "Raven Gorget 3.29.16," which is complemented by the deep grape-colored cardstock insert. Artifacts is available beginning today, December 10, 2017, for only $8 plus $3 shipping! (For customers outside the U.S., please contact NightBallet Press for postage pricing.) Get your copy today to unearth its "artifacts" of beauty and truth! 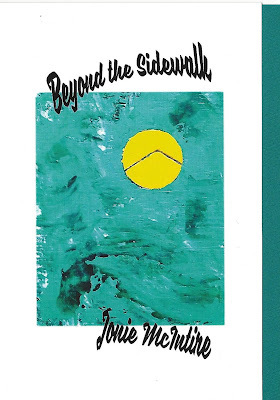 Beyond the Sidewalk by Jonie McIntire, and Artifacts by Kerry Trautman! This is one-half of two announcements. For Kerry Trautman's Artifacts, please go here. Beyond the Sidewalk is a beautiful homage to McIntire's beloved city, Toledo. Its thirty-two pages contain twenty-four poems and one photo, including several of her "zip code" poems, written in response to Toledo City Paper's "Ode to the Zip Code" contest. Among the gems contained within its pages are "I Hate the Factory that Takes You So Often" and "What the Dog Buried." 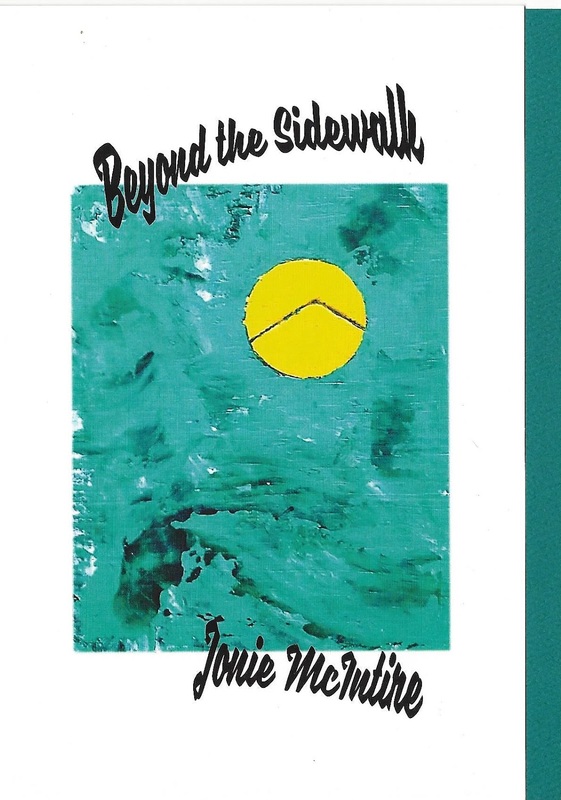 McIntire's love for her hometown shines throughout the book, and her wry humor takes you along with her as you both travel "beyond the sidewalk." Jonie McIntire is poetry editor of the Toledo Streets Newspaper, a founding member of the Toledo Poetry Museum and Almeda Street Poetry Co-op, and organizer of the annual 100 Thousand Poets for Change events in Toledo. 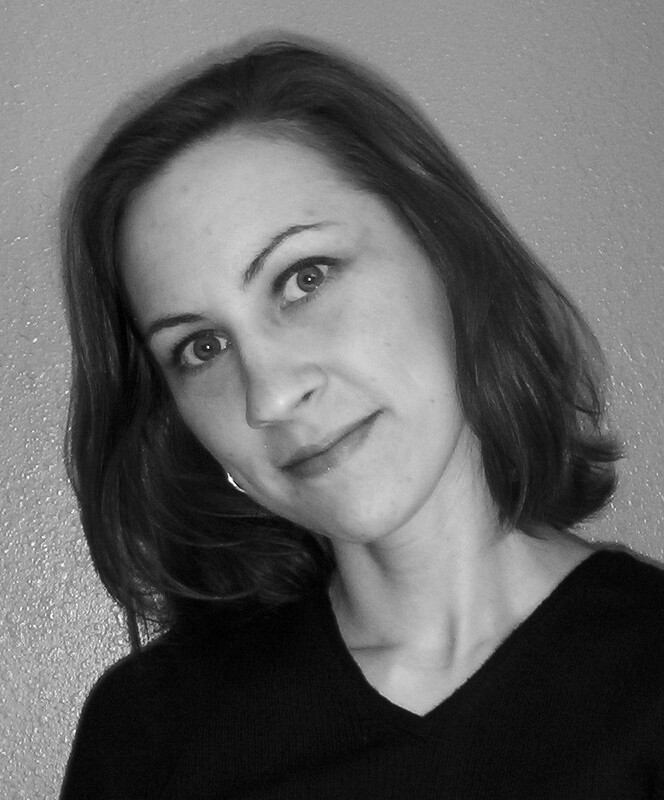 Her work has appeared in Red Fez, Sam and Andy's Uptown Cafe (Westron Press, 2001), and the 2016 Hessler Street Fair Anthology (Crisis Chronicles Press), among others. A number of her poems have been stamped into cement as part of the Arts Commission of Greater Toledo's Sidewalk Poetry series (a photo of one of her poems is included in the book). She is the author of Not All Who Are Lost Wander (Finishing Line Press, 2016). Beyond the Sidewalk is printed on crisp, thick, white paper. The white linen-textured cover contains stunning artwork by Kevin Eberhardt, his "The Memory of Sun in an Aqueous Sky," which is complemented by the deep aqua cardstock insert. Beyond the Sidewalk is available beginning today, December 10, 2017, for only $8 plus $3 shipping! (For customers outside the U.S., please contact NightBallet Press for postage pricing.) Get your copy today and discover what treasures exist "beyond the sidewalk"!